We have helped more than 10,000 Abu Dhabi pets since opening in 2008. Our reputation is built on providing high quality, holistic and dependable care. When you’re with us, you’re in safe hands. We invest in innovative technology so that we can deliver advanced diagnosis and treatment, helping your pet stay healthy or get better quickly. The GVC Pet Relocation Team have helped over 2,000 pets relocate safely. We can help reduce the stress of sending your much-loved pets overseas. Our highly-qualified and experienced Western-trained team are pet owners themselves and care just as much about your pet’s wellbeing as you do. 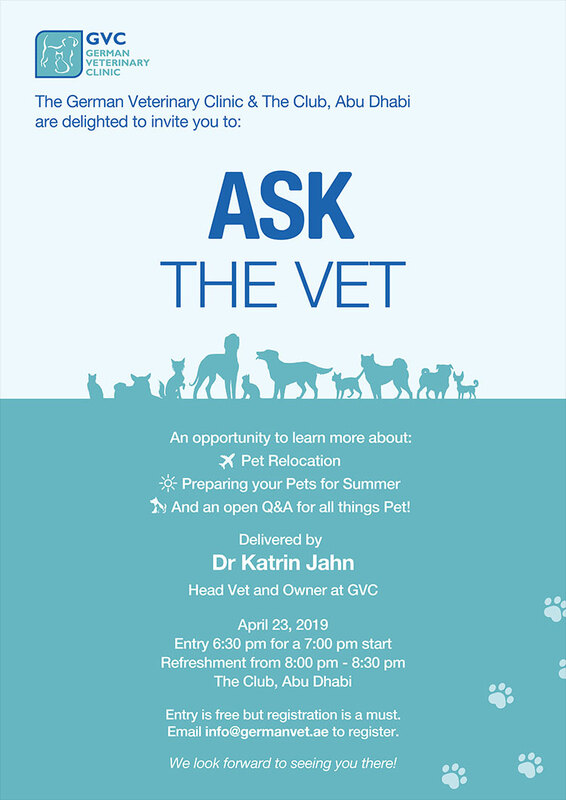 What makes GVC one of the best vets in Abu Dhabi? You will feel the difference when you walk through our doors. The GVC vets, receptionists, nursing staff and support team have been carefully selected for their love and compassion for animals, as well as their skills and qualifications. We are passionate about providing high quality, holistic care. Whether you choose us for veterinary and diagnostic care, pet grooming, pet relocation or 5-star cat boarding, you can feel reassured that you will receive best-in-class service. We offer a convenient home visit and pick up/ drop off service to suit your busy lifestyle. If you have multiple pets who need routine treatments or a pet who doesn’t like to travel, let our vets and nurses come to you at home. We are proud to be the first clinic in the UAE to receive International Gold Standard Cat Friendly Clinic status. Our specialist staff and facilities will help your cat feel safe and relaxed, resulting in a less stressful experience when in the clinic. We’re so thankful for your dedication to assisting our loving Gato’s relocation. Your care made the difference and I felt my baby was in safe hands. Excellent team and have really helped one of my cats get back from a very unwell place. Couldn’t recommend them enough. Fantastic facilities and great boarding areas too. Thanks guys. We are not sure how we will ever get over losing our beloved Jack Russell, but Dr Vito and his team were exemplary in their medical care, professionalism and compassion. We will never forget the support that they gave us and our dog!